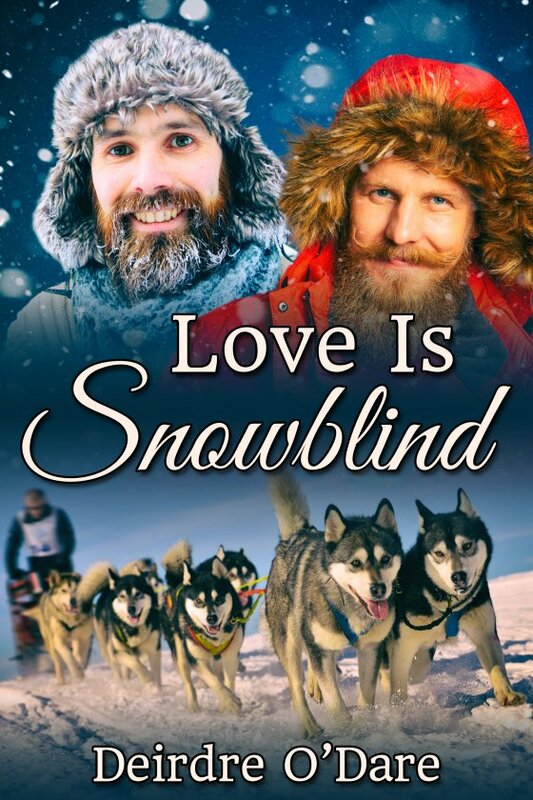 Love Is Snowblind by Deirdre O’Dare is now available! Loner Dylan, seeking to heal from wartime trauma, pursues a new-found dream of building and training a winning sled dog team to compete in the Iditarod. He makes a difficult choice to rescue a stranger lost in a blizzard instead of seeking to win a preliminary race. This choice and its results throw unexpected but major changes into his solitary life. Can he accept and adapt to these changes? Grey must prove himself, pursuing his dream of seeing Alaska first hand and writing about the world of sled dog racing in a powerful way to jump start his chosen sports and feature writing career. Young and naïve, he almost pays with his life for a bad decision. Can he learn and grow fast enough to survive in the unforgiving environment and overcome a rocky start with his new hero, musher Dylan?